This sheet helps you manage your project, and provides an easy-to-grasp visual timeline for your team and clients. Update tasks, manage dependencies, track progress, and store project files — all in one shared sheet. Manage tasks and subtasks with dependencies. Click and drag the edge of a Gantt bar to instantly change dates. Drag one bar onto another to set a dependency. Enter zero in the Duration column to set a milestone. To work tasks back from a milestone, set Start-to-Finish (SF) dependencies on preceding tasks. Use the Zoom buttons to shift between Weekly, Monthly, and Quarterly views. Click the Gantt chart's gear icon to change settings like dependencies and workdays. Learn how to share your sheet for easy collaboration. Select the Sharing tab to share with your collaborators. Add collaborator email addresses and select a permission level. Create a Workspace to share multiple sheets with the same group of people, with consistent sharing permissions on all items in the workspace. Lock any column or non-blank row to prevent others from changing or deleting key information. Only sheet Owners or Admins can lock, unlock, & edit locked columns & rows. 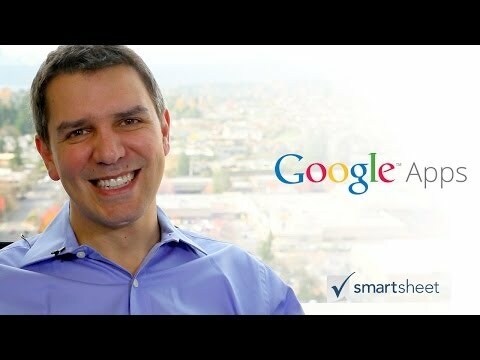 Learn how to use Smartsheet for real-time collaboration. Work simultaneously with everyone shared to the sheet. To help you see changes, Smartsheet will notify you when multiple collaborators are working on the sheet. Select the Highlight Changes button to see all recent changes since the last time you viewed the sheet - or within the day, week, month, or a specific date range. Right click on a cell and select View History to see previous values, who made each change, and when. Call attention to key information by setting Conditional Formatting rules to automatically format cells based on the values they contain, such as Done. Select Filter Column from the column menu to see a smaller set of tasks in a long sheet. Track changes to your sheet with email notifications and stay on top of key dates with reminders. To set an email reminder on any task in your sheet, select Set Reminder from the row menu. Choose the Alerts tab to trigger Reminders for the whole sheet, or to notify yourself & others of changes to the sheet. Send an update request, a special email designed to allow anyone to update rows on your sheet. Select one or more rows, then use the row menu to send a one-time or recurring request for regular updates. Learn how to quickly and easily link specific information across sheets. Use Cell Linking to consolidate information from multiple sheets. You can roll up data from several sheets to build a multi-project dashboard, create cross-project dependencies, or reference cells in other sheets. Create a custom Report to see tasks in multiple sheets that meet specific criteria. For example, a Report can show a team member's incomplete tasks due in the coming week on several projects. Updates you make in a Report also update the source sheets. Use Resource Management to get visibility and alerts on your team's assignments in multiple projects (Team and Enterprise plans only). Send Evernote notes to Smartsheet to add tasks or archive notes and ideas. Import any Evernote attribute into Smartsheet, then share the details, assign tasks and use reminders to stay on track. Built by Smartsheet Labs. Attach your Drive files directly to tasks in Smartsheet. Edited documents update automatically in the Smartsheet attachment, so your files are always current. Connect Smartsheet and Google Calendar to gain a complete view of all your project tasks and highlight key dates and deadlines. Overlay your Google Calendar on to sheets in Smartsheet, or publish key dates from your project to Google. See how to use the Basic Project with Gantt template to manage a project. See how to add a Gantt chart to an existing sheet. Columns have special properties that make using your sheet easier and more powerful.